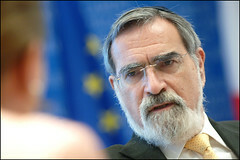 By creating a work that implores not only Jews but people of all faiths to recognize our mutual responsibility to one another, Rabbi Sacks, the Chief Rabbi of Great Britain and the Commonwealth, proves once again why he has become one of the most eloquent and inspiring advocates of a life lived with meaning and purpose. Ethics is always a tricky subject, but to his credit Rabbi Sacks is reasoned but unrepentant about his message: there can be ethics without religion and religion without ethics, but it is the joining of the two that deliver the far greater impact over time. Religious skeptics need not bother: Sacks is not trying to make a case for religion here, but for ethics. A must read for anyone wondering how to make a real difference in the world.